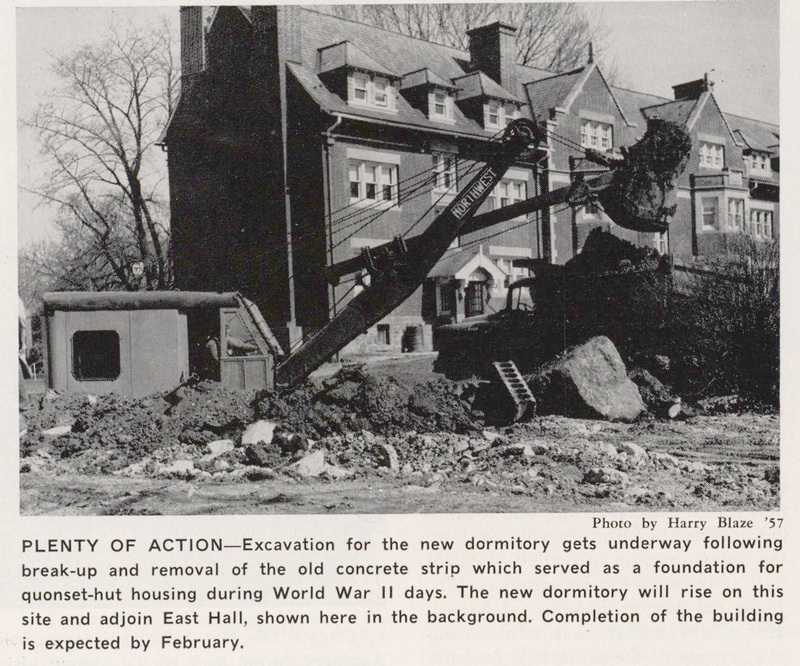 When coeducation was approved prior to 1957, it was decided to renovate West Hall (now Brown) as a dormitory for female students. Therefore, it became necessary to find a new location for male freshman, who had resided in West Hall since 1939. 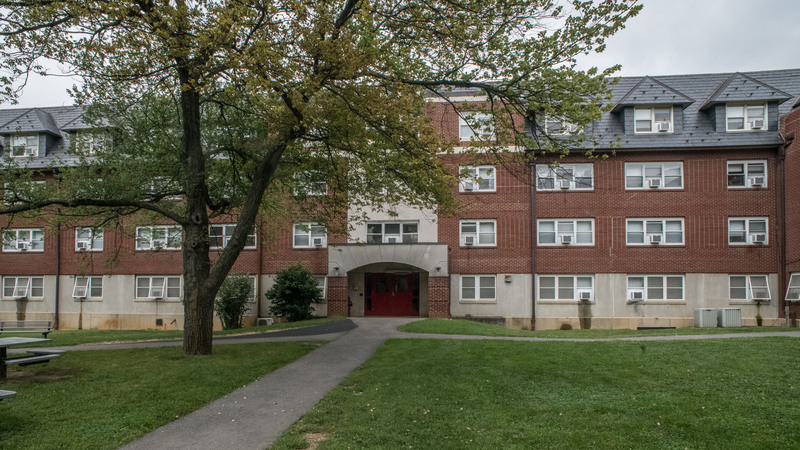 A new dormitory, designed by architectural firm Heyl, Bond, and Miller of Allentown, was to be located along the rear of East Hall, parallel with Liberty Street. 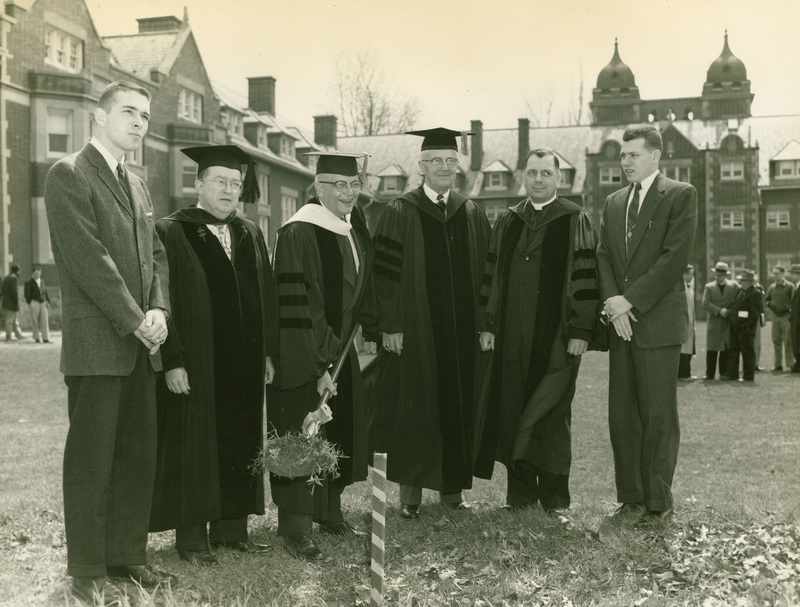 The groundbreaking took place of April 18, 1956. The general contractor was Goodman and Bell, Inc. 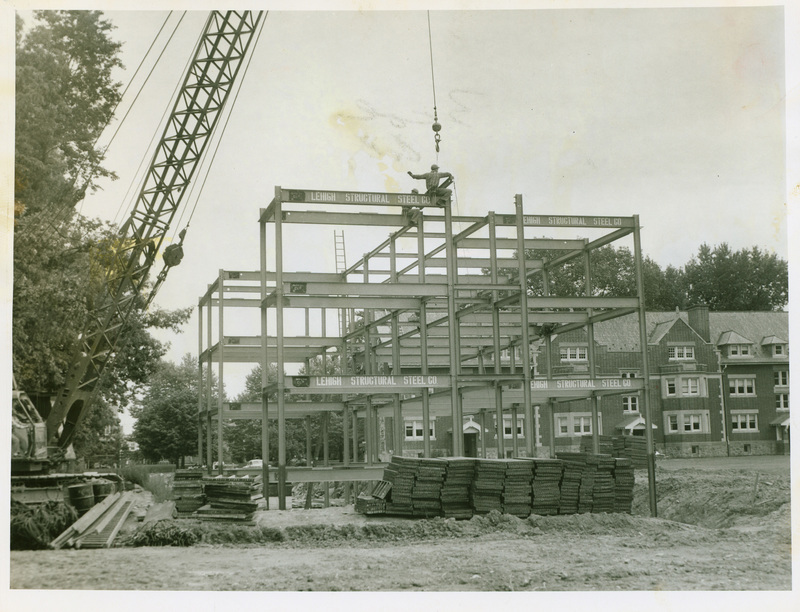 In March of 1957, the Board of Trustees moved to name the building after Martin Luther, honoring the College’s long and continuing affiliation with the Lutheran Church. 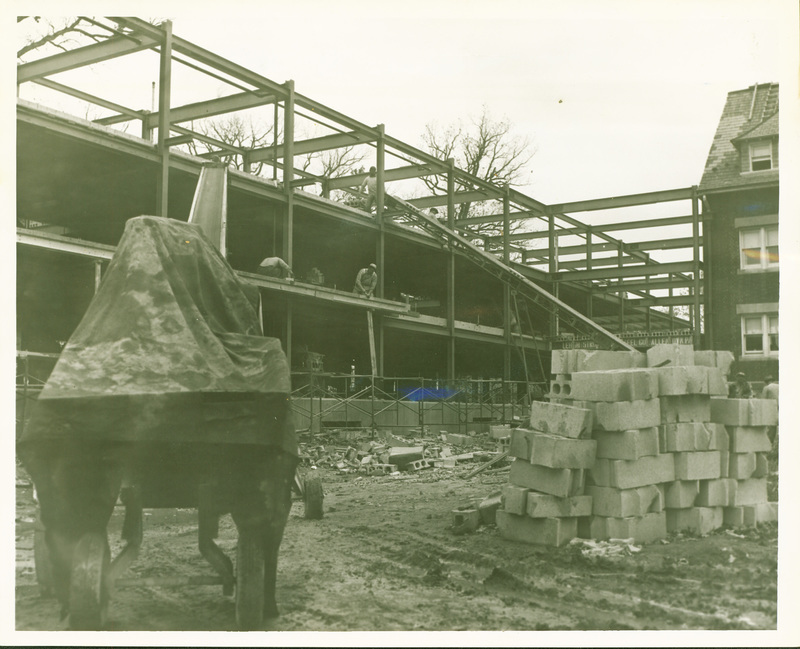 On March 20, 1957, the transferred freshmen moved into their new space, and renovations on West Hall commenced. 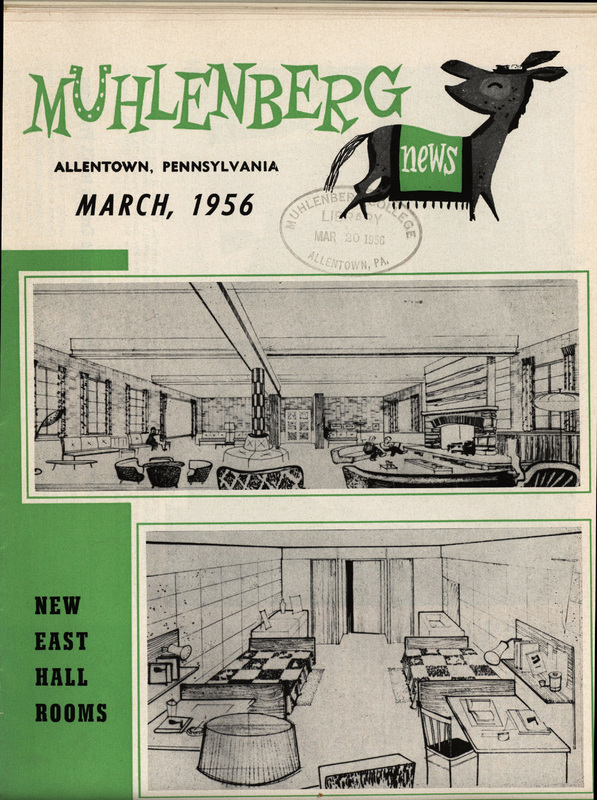 Special Collections and Archives, Trexler Library, Muhlenberg College, “Martin Luther Hall (1957),” Muhlenberg Pathways to Present, accessed April 23, 2019, http://pathways.trexlerworks.muhlenberg.edu/items/show/26.